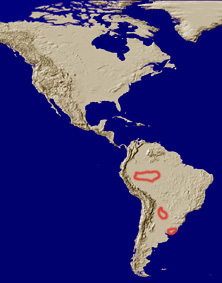 Distribution: Brazil and Colombia (Hardy 1972), Paraguay and Uraguay. Diagnosis: Both sexes with dorsal surfaces glabrous. Body color shiny black. 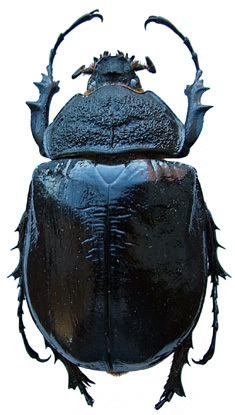 Males without mid-prothoracic horn. Cephalic horn at base on dorsal surface with toorth. Anterior angles of pronotum produced into acute, antero-laterally projecting horns. Scutellum with disc sparsely punctate. Females with pronotum rugose. Frontoclypeal suture with binodose tubercle. Temporal Distribution: The few specimens examined exhibited date a date range from April-July.